Neville Brothers saxophonist Charles Neville died Thursday April 26, 2018 of pancreatic cancer in Huntington, Massachusetts, where he had lived for many years. He was 79. 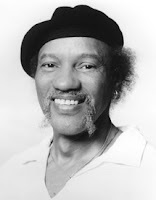 Charles Neville was the second oldest of the four brothers who, for three decades, formed the core of the Neville Brothers, one of the most important and influential bands to emerge from New Orleans. For many years, the Neville Brothers were the closing act on the final Sunday of the New Orleans Jazz and Heritage Festival. Born on December 28, 1938 in New Orleans, Charles grew up on Valence Street and in the Calliope housing development. In the 1950s, he toured with bands that backed such rhythm & blues stars as Johnny Ace, Jimmy Reed and B.B. King. He enlisted in the Navy in 1956 and was stationed in Memphis. He also led his own jazz combos, which performed at Snug Harbor whenever he was in town. After the Neville Brothers called it quits in 2012, he continued to tour as a member of Aaron Neville’s solo band. He was onstage when Aaron made his French Quarter Festival debut in 2017. Charles performed with Dr. John's band during last year's Jazz Fest. Charles as part of the Neville Brothers wrote and performed the song “Let That Hammer Fall” in 1993’s Euro-western “Posse” starring Mario Van Peebles.